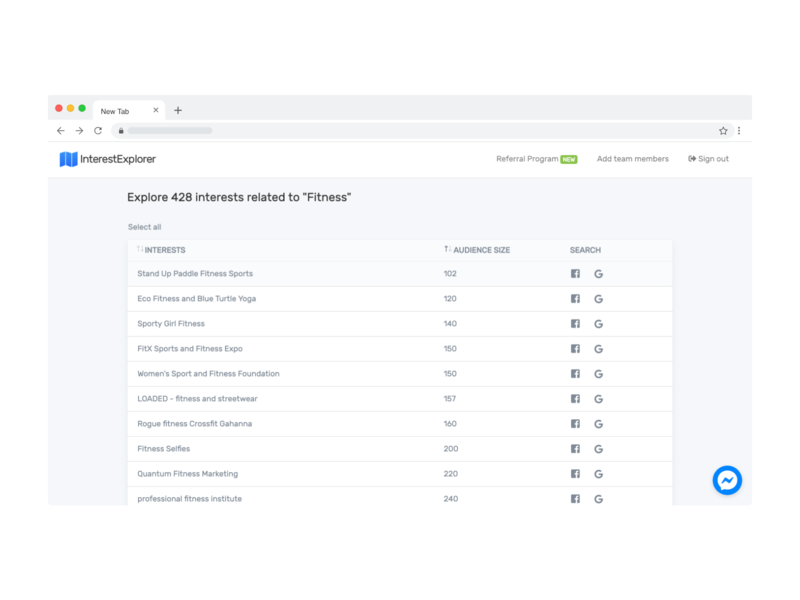 InterestExplorer is a Facebook interest targeting tool that helps advertisers of all sizes to lower their costs and reach more relevant audiences, by revealing thousands of hidden Facebook interests. Whether you are running ads for e-commerce, local businesses or consultancy, our Facebook interest finder helps you find the perfect interests to target - without your competition even knowing they exist. 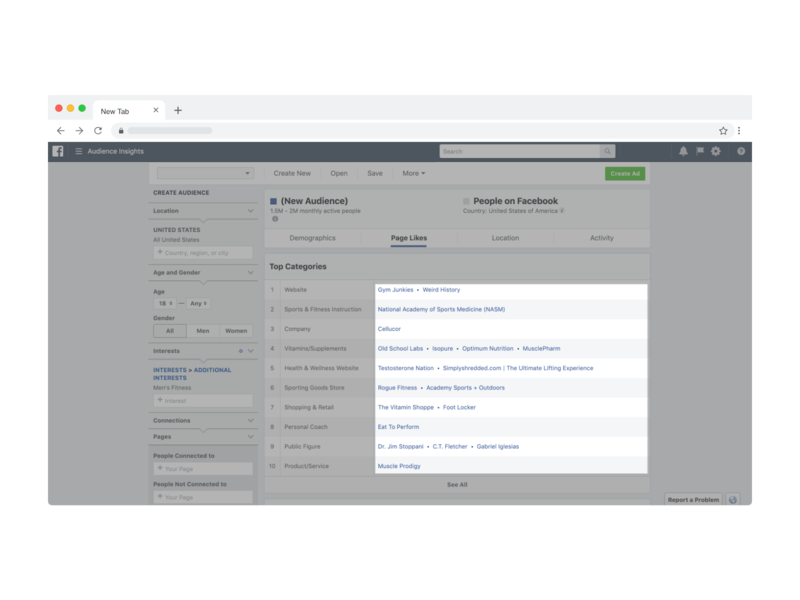 FB ads manager shows just 25 interest suggestions and FB audience insights shows you interests that most often can't be targeted with ads. We'll show you 1000's of hidden interests that can be targeted. Enter any broad topic and our software will return a neatly sorted list of interests that you can target. Save hours of manual research and pick hyper-targeted interests you would've never found yourself. When you've cherrypicked a selection of interests, you can copy-paste these straight into your FB campaigns. You can also save interests to re-usable projects or export the interests to a downloadable CSV file. The tools Facebook gives your for interest research, are lacking. All interests that can be targeted are available through FB's Marketing API. So we built a user-friendly Facebook interest tool to reveal these. 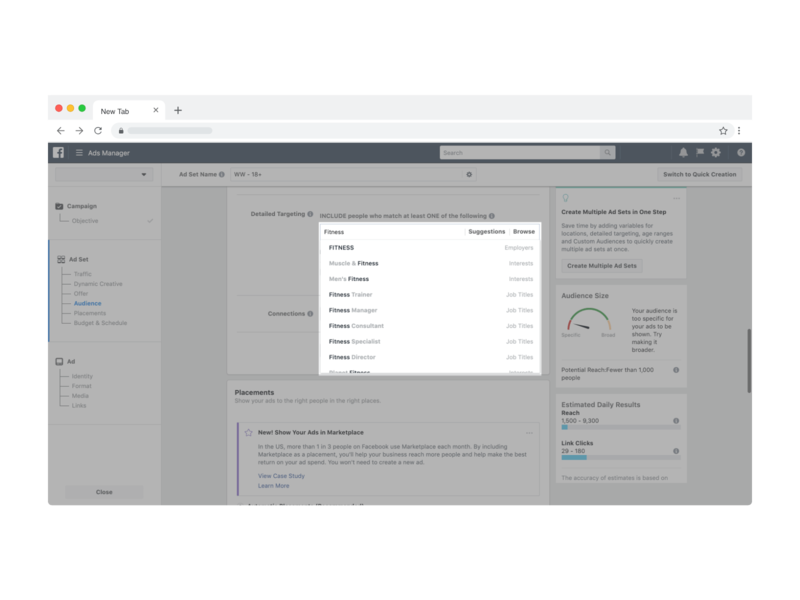 When you enter a keyword in the detailed targeting section in FB ads manager, it shows a dropdown with 25 interest suggestions. The exact same 25 interests are shown to over 6 million advertisers. We love audience insights, it's a great tool to find relevant interests. But it also shows just a small number of interests - and it's frustrating that not all of these interests can be targeted. InterestExplorer uses the FB Marketing API to reveal interests that remain hidden for most advertisers. Save hours on interest research to find the perfect low-competition targeting. Stop wasting time and money on research and ineffective interest targeting. You're targeting the exact same "public" interests that everyone else is targeting too, and paying the price. You're frustrated by FB audience insights that shows you relevant interests that can't be targeted with ads. You're spending a lot of time to research niches and to find relevant interests to target... if you can find any. You're targeting hyper-relevant interests that most other advertisers can't find, resulting in lower ad costs. You're delighted when scrolling down a neatly sorted list of relevant interests that can all be used to target your ads. You're spending a few minutes on research to find relevant interests that you would never ever thought of yourself.